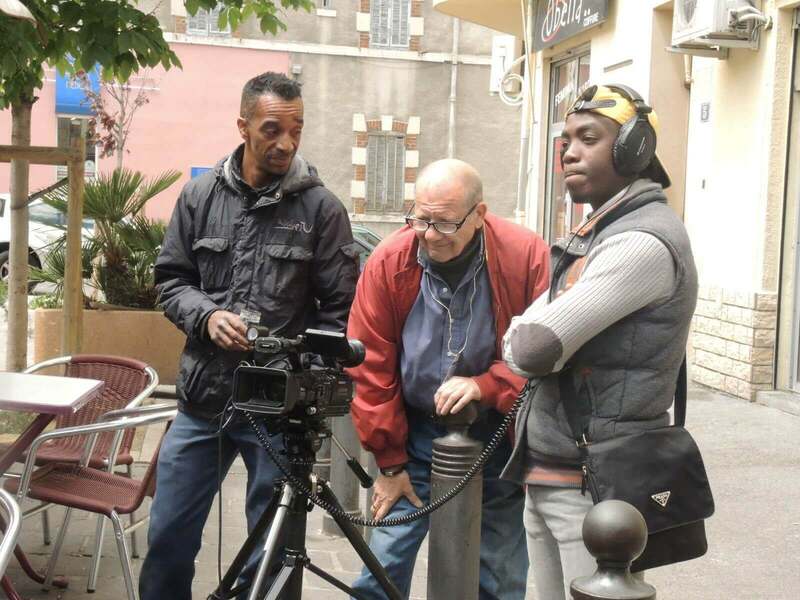 Our correspondent Phillipe Eynaud zooms in on the work of our hub Les Têtes de l’Art which celebrates its 20th anniversary this year. Nowadays growing attention is paid to art in urban planning, and cities are becoming aware of its crucial role in their development. But this interest is still mainly market-based oriented and driven by globalized competition. Many cities are indeed looking how to get competitive advantage by creating with the help of art a distinctive creative milieu. If art is used to animate neighbourhoods and to rehabilitate brown field areas, the purpose remains often the same: attract creative industries, new business and skilled new inhabitants. Thus the gentrification process is inevitable. To avoid and prevent urban divide, art can however be part of a totally different urban agenda. First, art can be acknowledged as an open door for sensitivity, curiosity and otherness and as a means to resist the commodification of the world. Then, utilitarian approaches of art can be refused (or limited) in order to support emancipation and empowerment of inhabitants through art experience. In this particular context, participatory art making experiences in the city warrant a closer look. 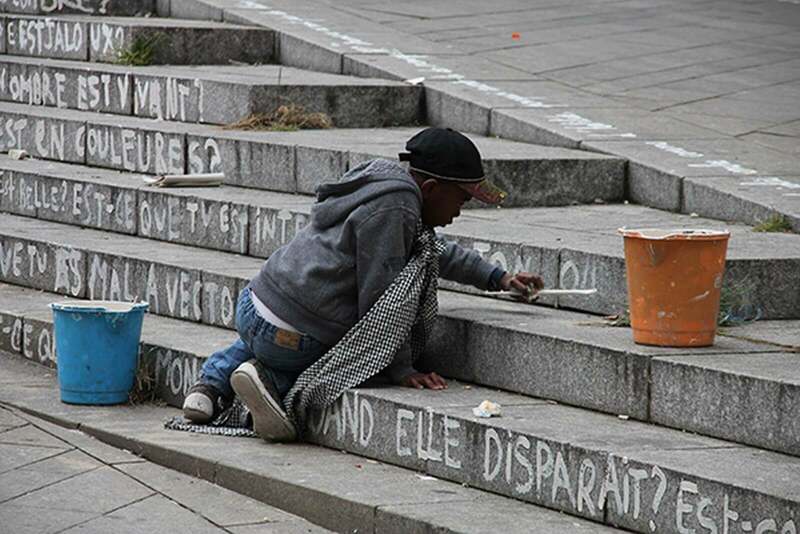 Based on a 20 years experience in Marseille, this paper shows why and how the inhabitants of a big city have been able to produce on the long run participatory artworks. 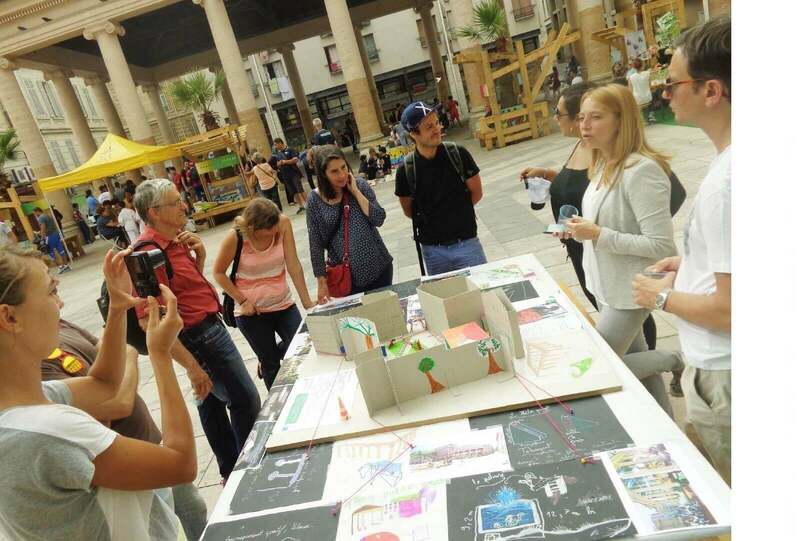 We posit that the emergence of such socially innovating experiences can definitely change the approach of urban agenda and create the needed conditions for transition. Defined as urban commons, these experiences indeed offer an alternative way to rethink the role of art and culture in the city and to go beyond the sole market-driven economic model. They are levers for more solidarity and democracy at the local level, and key drivers for sustainable and fair cities. With the concept of “art world”, Becker has initiated a theoretical and methodological breakthrough in the understanding of artist’s work. On one hand, Becker shows that artworks are not to be considered as the output of the work of single artist. Artworks have to be approached as collective production. Becker defines indeed art world as “ the network of people whose cooperative activity, organized via their joint knowledge of conventional means of doing things, produce(s) the kind of art works that art world is noted for“. With this proposition, Becker emphasizes the invisible part of art creation i.e. its essential ecosystem for supporting art creation. He highlights the myriad of skilled people working backstage and around. On the other hand, Becker invites us to review the way we look at artworks and to get aware of aesthetic conventions, which are putting frontiers on what is art, and what is not. These conventions are essential for the achievement of an artwork because they are the conditions to get access to the resources. Because of technological change, new art conceptualizations, or transformation of distribution networks, these conventions are moving and different art worlds are emerging and struggling. Through the creation of new art world, people are looking for other types of art works to be known. The different art worlds are competing for the financial resources but not only. They are competing for partnerships, collaborators, suppliers, new aesthetic criteria… In this competition, professional artists are facing amateurs. It is up to public cultural policy to support one or the other. By funding the first one, the cultural policy aims to improve the professionalism of art companies. Artists are requested to constantly seek for newness and differentiation in their work, to walk away from established norms and to reach the most intense artistic experience. These criteria of evaluation of artworks leave in the dark many artistic proposals that do not rely on these injunctions. By funding the second one, the focus is made on the making of art and not only its diffusion to the public. Such public policy goes against the idea of “Haute culture” to favour the idea of a cultural democracy where individual creativity would be nurtured within a collective artistic project. In this context, the projects of participatory art-making are exploring new forms of art creation aiming at the involvement of amateur-participants in contemporary artistic practices. The making of collective artworks is therefore the medium through which “art amateurs are invited to participate, with their own singularities, in action frameworks initially conceived by and partially populated by professional artists”. The point is that these action frameworks are not static and definite ones. They co-evolve in time through the interactions and dialogue between amateurs and professional artists from the art world. As a result, participatory artistic projects revolve around the participation of underprivileged population facing a problem of recognition of their own specific culture and of the so-far unused capacities of their cultural identity. They also often face inequalities of treatment against other people or social groups. What is at stake then is “the socio-political issue of situations and unequal exchanges between human beings that is re-activated in the process of co-production of artistic projects”. These projects seek a better match between artistic proposals and populations of a given territory, their sociological and morphological traits. As shown by Becker, the art world opens up with collective production and cooperative activities. It means that the issue of art in the city cannot be solved with the old model inherited from the last century, only focusing on the complementarity and the opposition of market and state. In the beginning of the twenty-first century we have now to deal with the prominence of the third sector and the emergence of solidarity-based civil society organizations (CSOs). It goes hand in hand with a renewed attention to the rise of networks rather than single organizations per se, and the role of these networks in setting the agenda in a democratic society. Setting up a new lens for a new field between market and state, is a way to rethink how civil society can organize itself to promote and support alternative art worlds. By being private organizations which provide services aiming at general public interest, CSOs can be at the crossroad of new approaches to economy. Working as grassroots organizations, CSOs can bring empirical evidences to confirm the “economistic fallacy” underscored by Polanyi  which reduces economy to a mere market economy. If not-for-profit, CSOs have to decide for what they are acting. It assumes a deliberation process and critical public sphere as shown by Habermas  and the promotion of other forms of rationality and organization. CSOs have major assets. They can manage the hybridization of resources. It means that they are not only dependent on public funding or on commercial incomes. They can rely also on private donors and the work of volunteers. CSOs are private organizations that work for general public interest and join state and local authorities around public action. It means that CSOs can co-create public action with local public authorities. In such a co-creation, specific work can be done on art production connected with the enrichment of local democracy. The French CSO Têtes de l’Art (from now on TDA) was founded in 1996 in Marseille and offers an innovative approach to re-think the relationship between Art and Society. This CSO’s key value proposal is to offer a service of “artistic mediation”. On one hand, they provide users with technical support for the making of participatory and collective artistic projects. On the second hand, they make available a pool of immaterial resources to those artists willing to engage with a participatory project. In particular, TDA is deeply rooted within a territory and has connections with many local stakeholders. They make their rich network available to help sustain these participatory projects in time. The ultimate goal of this CSO is to make art accessible to all by adopting a perspective overlapping the realms of culture, popular education, and social and solidarity-based economy. TDA considers artworks as a dynamic and indeterminate process of co-production “with” amateur-participants. “The originality of our approach of cultural mediation is that it is not subjected to the constraint of artistic discipline, of the place of its implementation. Different moments of exchanges and services (counselling, networking, pooling of equipment, management of cultural projects…) nurture and enrich this project management allowing members to enroll in a collective approach that goes beyond their own action” (Sam Khebizi, Director of TDA). Two examples of projects enabled by TDA best illustrate its positioning. They claim Art is a tool of social transformation and that participatory artistic projects are a way to give flesh and blood to citizenship. TDA has a long-term involvement in the area of Marseille in facilitating and supporting these two projects. First, the project “Place à l’Art” allows the invention on a daily basis of artistic intervention proposals in the public space. The creation of artworks in-situ, directly performed in places, adapted to the place and echoing the morphological features of the chosen place. Or action of mediation revolving around artworks organized in such a way as to facilitate their reception by the audience and analyse their perception. 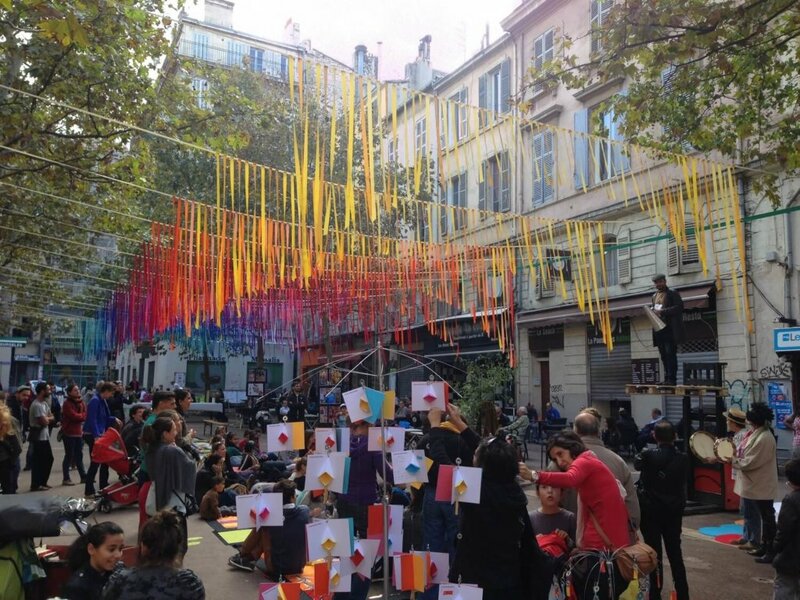 The main purpose of “Place à l’Art” is to strengthen local democracy by involving the citizens in the cultural animation and the designing of public spaces. It is a multi-year programme with key milestones. Firstly, ephemeral artistic works are requested to reveal the potentialities of the public spaces. Then, transitory creations are employed as a means to support convivial situations and experiments in order to co-produce the site layout. Seasonal participatory workshops are opportunities to gather inhabitants around the production of artworks. An annual event gives the opportunity for a big art exhibition. There is a close connection between the visible (the exhibition and the workshops) and the invisible (the long process of dialogue and mediation between different local actors facilitated by TDA). In this context, TDA has been working with inhabitants around new ways of organizing public spaces. This reflection started in the public spaces where the association used to present and animate the participatory art exhibitions. TDA first organized the production of urban furniture (tables and benches) which was co-designed by a group of residents of the local neighbourhood. This was done from a circular economy perspective. The urban furniture was made of raw materials issued from waste and conceived to be easily recyclable. TDA has then negotiated with the local authorities to get the needed agreements for this furniture to stay in public space. Another example of a participatory artistic project revolves around the making of an Open Web TV – made by those who watch it. The project takes place in the 3rd arrondissement of Marseille which is considered a poor area, abandoned after the decline of manufacturing activities. The residents try to re-discover their identity in spite of long lasting economic and social difficulties. They feel the need to express themselves, to exchange and value their own initiatives and their territory and to create social bonds. Participatory Open Web TV aims at providing these residents and citizens with a communication space where they can express themselves. TDA helps the residents to realise their ideas by providing skills and equipment, training and a platform for dissemination. 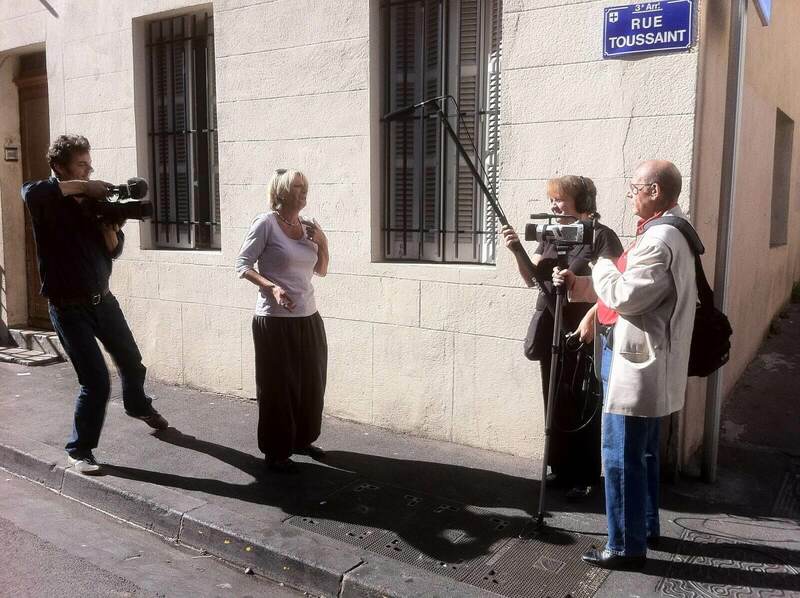 Both examples (Place à l’Art and the Open Web TV) allow the inhabitants to be involved in the layout of the territory, to advocate for collective values, and to have a say in front of public authorities. Both examples aim at the transformation of public spaces, the empowerment of the residents and social transformation beyond aesthetic and artistic features. To be successful, such strategy needs it be executed on the long run as well. All the work that has been done by TDA can be considered as the production of urban commons. If we refer to Ostrom’s work , commons are pragmatically related to the management of common-pool resources. Ostrom’s work makes indeed the assumption that if the members of a community have the opportunity to self-organize, they will create common rules, and they will gradually build an efficient and adaptive governance system. In a nutshell, Ostrom posits three concepts for the commons: common pool resources, common property regime, and self-organized governance. This theoretical lens is useful to analyse the work of TDA. We see that TDA has created a local network of CSOs working with art in the city of Marseille and has promoted participatory artworks locally. In doing so, TDA has been acting as a mediator at the local level between the inhabitants and the local authorities and has been successful in providing the needed common pool resources for inhabitants to be involved in participatory making art experiences. TDA has also been organizing the co-production of the needed rules for the cooperation between professional artists and amateurs around participatory artworks. TDA has been doing advocacy in order to conciliate the production of local norms with laws (as seen in the production of urban furniture). Therefore, TDA has been a promoter of a common property regime. Finally, TDA has been continuously looking for fostering participatory and self-organized governance in order to create a large network of actors around the participatory artworks . By doing so, TDA has been working as an urban commoner. Thanks to this grassroots initiative, participatory art-making is not invisible anymore in Marseille. As we have seen, renewed urban agenda can open art perspectives while preventing urban divide. For doing so, three conditions are required. Firstly, urban agenda has to take into account that artwork is not the outcome of a single artist’s creation. The artist is dependent of a network of people, which will organize around him the needed resources driven by the aesthetic conventions of the art world he belongs to. By changing lens through which we look at art we can see that different art worlds are competing, and that special attention has to be given to the involvement of amateurs and inhabitants next to professionals. Secondly, CSOs are key actors to prevent the hegemony of art market in the city, and to offer a place to not-bankable, short-lived and participatory artworks. In partnership with local authorities, CSOs can organize the empowerment of inhabitants at the local level through participatory experiences. Thirdly, participatory production of artworks can be seen (among others) as an urban commons allowing inhabitants to express freely part of their experience and begin to have their say in the city . Such experiences go with the idea that the city can be co-created by its inhabitants. It assumes there are public policies is place that are open to social cohesion, participatory democracy and citizenship as is the case in Marseille . What is really at stake for the cities now, is to engage in transition plan. To address ecologic, economic and social issues, the cities have to definitely overcome the urban divide. The transition agenda assumes indeed more solidarity and more equality among inhabitants. A new balance has to be found around the co-creation of the city between local authorities and civil society. 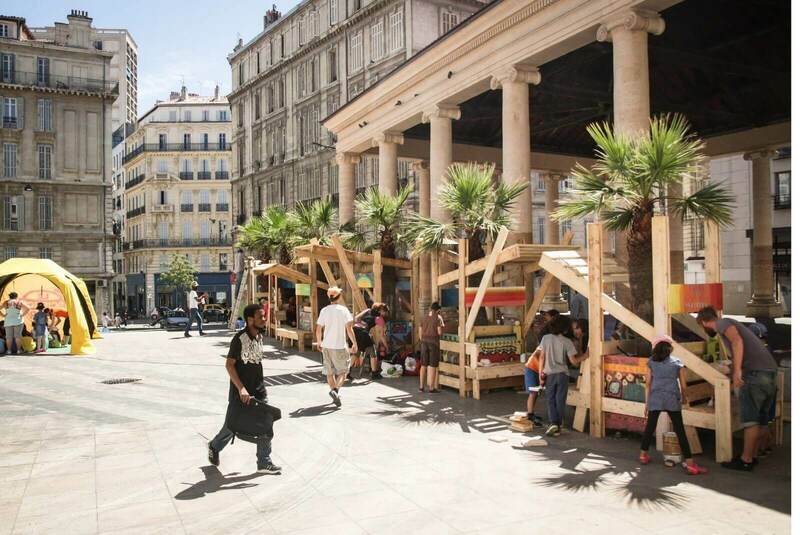 As seen with the participatory art making experience in Marseille, art can be a lever for a democratic re-appropriation of the public spaces by the inhabitants and the basement for innovative forms of solidarity in fair and sustainable cities. Becker, 1982. Art worlds. University of California press. Henry, 2011. Démarches artistiques partagées #1 :des processus culturels plus démocratiques ? Laville J.L., Young D., Eynaud P., 2016, Civil society, the third sector, social entreprise: governance and democracy, paperback issue, London and New York, April. Habermas, Jürgen, 1962, The Structural Transformation of the Public Sphere: An Inquiry into a category of Bourgeois Society, Polity, Cambridge. Eynaud P., Mourey D., Juan M., 2016, Bringing about a cultural democracy through the making of “participative art”: The case of a French CSO, 12th International conference of the International Society for Third Sector Research, Ersta Sköndal University College, Stockholm, Sweden, June 28 – July 1. Ostrom, Elinor (1990). Governing the Commons: The Evolution of Institutions for Collective Action. Cambridge, UK: Cambridge University Press. Eynaud P., Khebizi S., 2015, Participatory Art as a vector of innovative governance: reflexivity and the heart of the formalisation process, in Perspectives on Commons and culture: Build the city, Krytyka polityczna, European Cultural Foundation, p. 279-290, August. Build the City. How people are changing their cities, was published by the European Cultural Foundation, Amsterdam 2016. Associate professor at Sorbonne; specialized in organisation of civil society and new forms of collective action and solidarity economy. In his research, next to the dichotomy of state and market, civil society represents a third sector in which the “solidarity enterprise” concept is introduced which, he argues, has a third dimension next to economical and social: the political (democracy).